Definitely much improved. This box is so much fun. Like all your great tags too. What an adorable project. So pretty and cheery now and useful at the same time! Love it Charlene. You would never know that the box started out as tired and dingy. 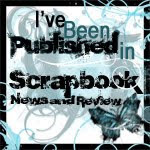 It is beautiful and a great way to send notes, gift cards, love. Ohhh love the colors on here! Such fun, cheerful colors! Great storage box! So much better now. Way to turn it around. Beautiful. Great idea! I love being able to use that item I got "just because"! Love your project. Pretty and useful. Great makeover!! Love the idea of a "happy tag" box! TFS! Fabulous box, very much improved and so very creative. This is so cute! I lov the bright colors and embellishments. Wow! That is so cheerful and fun. I love the colors and tag are great too. 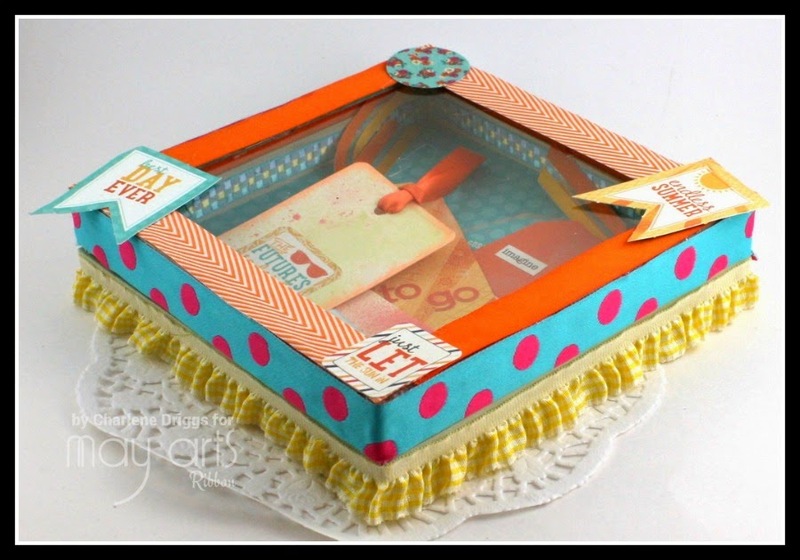 Love this altered box and the tags are simply amazing! Projects like this are why I can never throw anything away! Seems something lovely can be made from anything! Beautiful box! Such a great idea to recycle. And so pretty too. Love those ribbons and the tags are nice little keepsakes. Such a fun idea. Love that you made the little tags to go inside your awesome box. Thanks for sharing. Great idea! 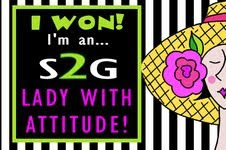 I love to have cards and tags ready to go! Great projects! I love your creativity; the box is gorgeous! You did such a great job on this jazzed-up box! Now that's what I mean with taking trash to treasure. Beautifully done! What a festive box Charlene! OH MY - what a GORGEOUS makeover Charlene!!! 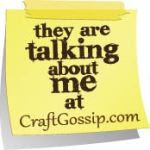 LOVE your BRIGHT & CHEERY Happy Box, inside & out, and I LOVE the FABULOUS tags you have created too - what a WONDERFUL project!!! 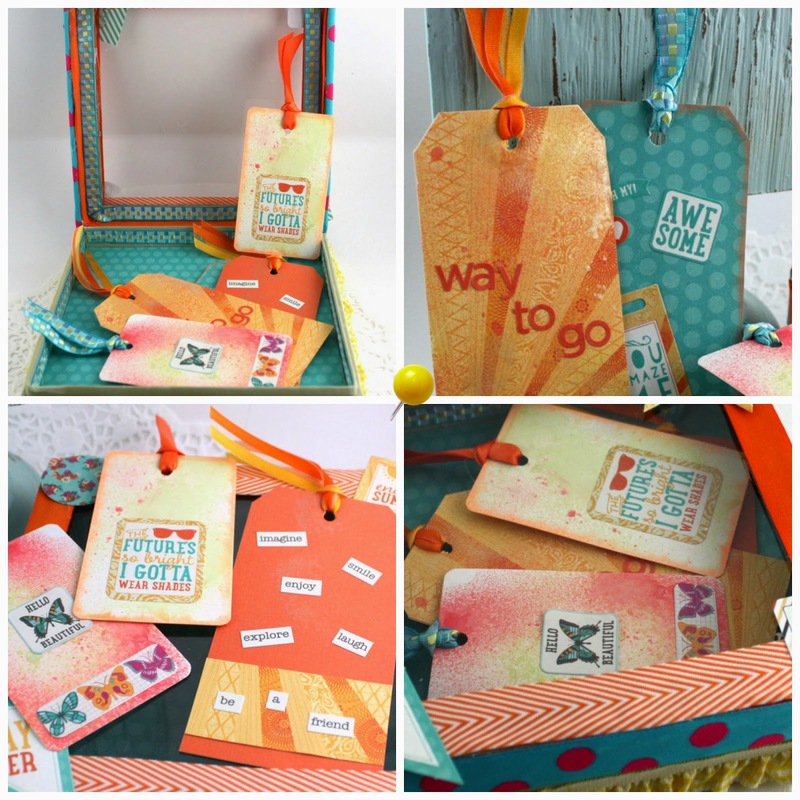 Your Happy Box filled with all the colourful tags is such a sweet and fun idea. The pretty ribbons are so cheerful. It would be a very uplifting gift for someone's desk or nightstand, especially when they are having one of 'those days'. Charlene! How fun is this!!!? I have got to do this! 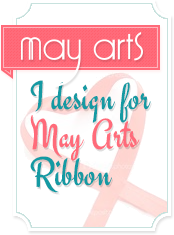 Love all the bits of gorgeous ribbons and products! Gotta have it! Oh, Happy Box, indeed!!! LOVE the festive colors and cheery phrases!! Fabulous idea!! Very pretty and happy colors. So beautiful, sunny and cheerful. Great repurposing. Very pretty! 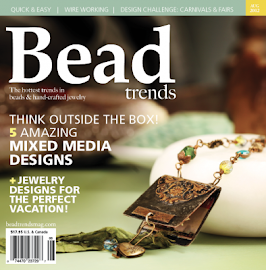 Love your choice of colors and patterns! This is so cute! A great box now! I love these papers and the spray on the tags too. :) Thanks for sharing.